I once had a business selling gourmet deviled eggs, The Deviled Egg Gourmet –and the website is still up!!!!! (http://thedeviledegggourmet.webs.com/) I PUT IT DOWN WITH THE DEVILED EGGS!!!!! One of my favorite songs is “Put it in ya mouth” by Akinyele- ULTIMATE RACHETNESS!!!!!! I want to get to know you! What are 10 random facts about you? Winter has finally realized that his season is over! Spring is here; the birds are chirping, the flowers are blooming, sun shining, warm weather (75+ degrees daily), fresh spring/summer fruit is ripe and sweet (I had the best strawberries from Sam’s club last week). I love this Caribbean type weather, the hotter it is the more I enjoy it! What’s there to complain about?? The sun… ooh the sun is NOT my friend. Lupie Chicks such as me should avoid exposure to the sun as much as possible. Photosensitivity is one of the most aggravating triggers of our disease. It doesn’t take much exposure to ensure that we have a reaction. I went out yesterday for lunch with a girlfriend (trying to be “normal”). After lunch we walked around, enjoying the fresh air and the street vendors. Minutes after I returned to my desk, the nauseous feeling, and migraine hit me like an atomic bomb. I could feel myself slowly deteriorating right at my desk. I wanted to crawl under the desk and lay in a fetal position until it passed. I held it together trying not to bring attention to myself. As soon as 5 o’clock came, I was OUT of there, went straight home…. 3 extra strength Tylenol and 2 hours later Advil, I SHUT IT ALL THE WAY DOWN…. For us, sun exposure, even for as little as 30 minutes, causes us to develop migraine headaches, makes us feel nauseas and/or we will experience painful joints. Additionally, exposure to the sun can cause our disease to flare-up (an increase in the activity and symptoms of the disease. This may cause an acute attack of arthritis, pleurisy (chest pain when inhaling), fever, kidney disease, and even epilepsy. Sun sensitivity and UV light sensitivity (photosensitivity) is present in about 90 percent of patients with systemic lupus erythematosus (SLE), 40 to 60 percent of patients with discoid lupus, and about 70 percent of patients with subacute lupus erythematosus. I had to get back into my “summertime” routine. ** I occasionally, try and move about my day like my counter parts and not like a Lupie Chick, BUT I can’t, it’s not healthy for me. I’m accepting that the few extra minutes it takes me to do the extra things are well worth it at the end of the day. Skin, after my shower, I start by applying Shea Butter (which has a SPF of about 5) & Coconut Oil (whipped together) as an all over skin moisturizer (body only-not face). I then apply sunscreen (to my entire body). My dermatologist recommended Neutrogena Age Shield (SPF 70). Face, I apply Clinique Super City Block Oil-Free Daily Face Protector Broad Spectrum SPF 40, then follow with Clinique stay Matte Sheer Press Powder. You can CLICK HERE to review my complete skin routine (including usage of Clarisonic cleansing brush, hydrocortisone, and daily face cleansing). 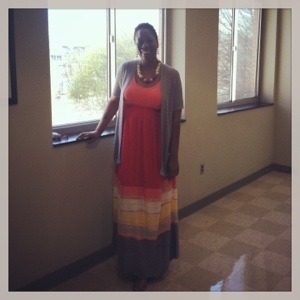 Clothing, I wear either long pants, mid sleeve top, with a long sleeve spring/summer sweater or blazer (to cover my arms) or I wear maxi dresses (that come pass my ankles- to cover my legs) along with a summer sweater or blazer. I can’t adorn a hat or scarf to work, but I will wear sunglasses, if I have to go out during the day. On the weekends I will wear a wide brim hat or scarf. I purposefully bring my lunch and avoid going outside until after 2:00pm (when the UV rays aren’t as strong), If I must go outside earlier in the day, I will also use an umbrella to block the sun. Shoes, I typically wear flat ballerina shoes, but most recently I’ve had to opt for pep toe flats (due to Subungual Hematoma). I try and wear brighter colors, (it may be my imagination) but it seems as if the dark colors draw more heat. I have to take every precaution necessary to stay cool. The season is here, and we have to be careful and take extra precaution to stay well during these spring/summer months. Disclaimer: The information included on this blog is for educational purposes only. It is not intended nor implied to be a substitute for professional medical advice. The reader should always consult his or her health care provider to determine the appropriateness of the information for their own situation or if they have any questions regarding a medical condition or treatment plan. My niece, Tamecca and I are 15 months apart. We lived in the same home, went to school together, and shared some of the same friends (she was friends with my friend’s younger siblings). Growing up, we DID NOT GET ALONG . I’m not sure if it was sibling rivalry or just us being stubborn, but I don’t recall too many “fun” times growing up with my niece. I could not boss her around, and she damn sure wasn’t going to help me with my chores. We argued A LOT, it wasn’t fun to always be on edge and for some reason we were never in a good place with each other. ** insert hand on hip and side eye** BUT anyone that knew us KNEW if you mess with one it was going to be hell to pay! Fast forward to adulthood. We have a GREAT relationship. We’ve made so many phone calls to each other to share good news, bad news, and just news. I will never forget the call I made to my niece on July 15, 2011, the dreadful phone call I wish I could take back. I called my niece to tell her I have Lupus. ** insert dead silence** because it was dead air for about 45 seconds…She tried to be brave and tell me it’s OK, but I could hear the hurt, and fear in her voice as she struggled to find the words to comfort me. My niece was the 2nd person (to my husband) I told I have Lupus. I would call her before taking any meds or to get advice relative to my treatment plan. I would call (and yell) when I was frustrated, in pain, and being a big a$$ baby. She never allowed me to feel sorry for myself or willow in pity. Her famous line “ you know grandma (my mother) didn’t play that, she worked hard so we could have, she beat cancer, you can’t give up, the doctors don’t always know what they are doing!” ..lol..lol..The calls I would normally make to my mother (who is a retired RN, who is battling Alzheimer’s) I was now making to my niece! Had she become the little sister I always wanted. The late night call I received from her after she read my blog-her yelling telling me I just took her on an emotional roller coaster crying and laughing at the same time-How could I do that to her!! lol..lol.. In times of financial strain I’ve never had to ask to borrow money, she always volunteers to give, even if it meant borrowing from someone else to give to me. We have so many things in common in our adult life-growing up- it was Toni & Tamecca (us), both of our 2nd children are girls my daughter A’Yianah & her daughter Anya ( get it.. both names start with an A, and both of our 2nd children are girls, AND they are 16 months apart in age). We both became grandmothers for the first time together (2 days apart). I remember being really mad (I think I was 12 or 13 yrs old) at her because I wanted her to call me “Aunt Toni” lol..lol.. and I was really MAD that she refused! Lol…lol… Now, she often calls me on the phone and say “hey Te Ta” in her cheery “what cha doing voice”. The late night-early morning conversations about life, family, kids, fears, joys, lows, highs, with no judgment-are PRICELESS !!!!! We cry together, we laugh together, we pray together. I love my niece sister. I’m proud of the relationship we have now, I have my sister, my niece, my best friend, my ride or die, all rolled up into one! Lupus hair loss can be caused by the disease itself, as the immune system destroys hair follicles, or by medicines such as prednisone and immune system-suppressants—in which case hair loss often stops once the medicine is stopped. Hair may fall out in strands, or in clumps with the slightest pull, and sometimes it just thins out and gets very fragile and breakable. According to the American Academy of Dermatology, an average person loses anywhere from 50 to 100 strands of hair each day. This may seem like a lot but keep in mind that it’s normal to lose and re-grow hair. However, when you aren’t seeing any re-growth, then it’s typically a sign that you may have an issue with your hair. Most people don’t even notice the 50 to 100 strands of hair that they usually lose every day. With systemic lupus, the situation can be very different, with the loss of hair much more dramatic and noticeable. It’s not a secret that I recently experienced hair loss after my most recent flare up. 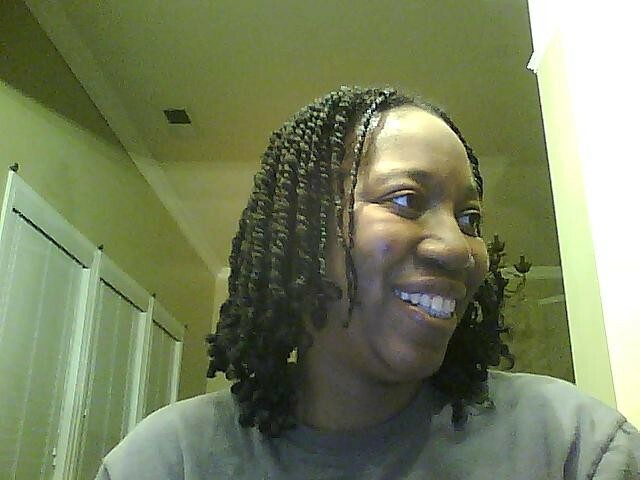 I didn’t speak about it much as it was happening, but on March 15, 2013 after months of shedding, loc’s breaking off, and obvious balding around my edges, I decided to BC aka Big chop. 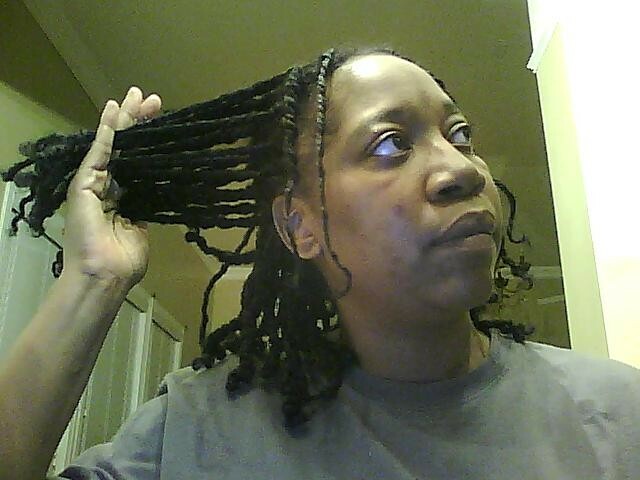 I went to see my home girl Camille, Owner & Natural Hair Stylist at Noiree Salon in Silver Spring, MD and had her to take it off. She seemed a little hesitant, saying that she would take me shorter but I didn’t have to BC. I said NO- I’m ready- TAKE IT OFF! In a matter of 5 minutes my two strand twists were laying in a pile on the salon floor. 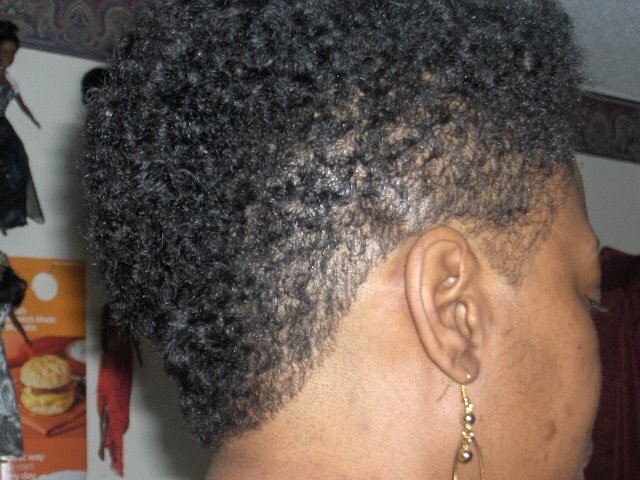 The previous year, I suffered hair loss and had my cousin April cut my bra strap length hair into a Diva cut. This time, I was ready to “let it go” (in my Keyshia Cole voice). My TWA has changed my looks. Co workers barely recognized me when I returned to work, and attendees of my event Cupcakes & Cocktails were surprised at the short hair. 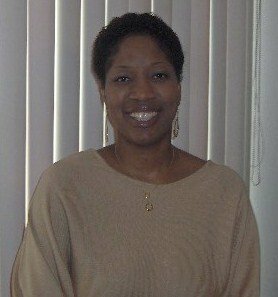 I rocked a TWA continuously for 7 years back in the 90’s, but most of the people that I socialize with today had never seen me with short hair. I’m still a little self conscience about the bald spots (especially my edges) – but as we all know-sometimes its part of the process (shrug shoulders). Beginning today I will document my journey as I take steps to re grow my hair (specifically my edges). I’m not seeking to grow my hair a certain length, I just want to re grow the balding spots. Few people are actually deficient in biotin, which occurs naturally in bacteria in the gut. Nevertheless, therapeutic doses of biotin – also called Vitamin H or B7 – are necessary to achieve benefits in hair health and rapid growth. It is difficult to overdose on biotin – many supplements come in 500 microgram capsules. Biotin is useful for those who want their hair to grow faster: some claim it can even reverse premature greying if the greying is caused by marginal biotin levels. Biotin can be taken alone or in conjunction with other B-vitamins. The latter may be a good idea if you lead a stressful lifestyle – B vitamins help to prevent stress, which is a cause of hair loss! You don’t have to BC like I did (that was my personal preference). Long hair is weaker than short, so consider a shorter ‘do’ with layers to hide thinning or bald patches. Products like Shea- butter and sesame oil have natural UV filtering properties. And while many hair products claim to protect hair from the sun, unless they have a SPF rating or contain a known sunscreen ingredient, these could be just marketing claims. If you plan to be out in the sun for more than an hour, the best hair care tip is to wear a stylish hat or scarf. Avoid adding more stress to your hair from using curlers and alcohol-based styling products, which can irritate sensitive skin. Hairpieces and extensions can be added into thin areas to create a fuller look. Just make sure that these aren’t too tight, because tension on weakened hair also can lead to hair loss. Wigs come in a wide range of styles, colors, and lengths. Your stylist can custom cut the wig to match your face (and personality). And don’t forget your scalp! Keep it dry to prevent chafing, and remove the wig occasionally to allow your skin to breathe. Whether you decide to go with a wig or a new hairstyle, remember that there’s no wrong way to deal with hair loss. Everyone has a different comfort level; it should be an individual decision. Stay tuned as I document my attempts! 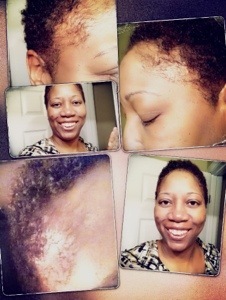 If you have lupus and are losing hair, do NOT experiment with over-the-counter hair loss treatments. Talk to your doctor about treatment options. Sometimes when dealing with chronic illness, you’re inner you says FIGHT, the outer you don’t know how or where to begin. It can all be a tad bit overwhelming, and at times confusing. 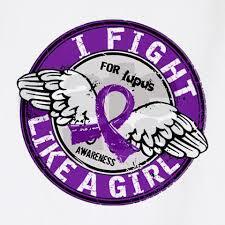 Below are my top 5 tips to FIGHTING LIKE A GIRL FOR LUPUS! First we have to acknowledge that we have an illness before we can take a step in any direction. Though symptoms of Lupus differ, people with them are united by the denial, anger, fear, hope, and acceptance and other feelings they bring. At diagnosis, feelings of grief and loss had consumed me. I felt that Lupus was restricting me from the things I enjoyed; no longer able to attend cabarets (because of the loud music and the migraines), it was summer, and I was unable to attend barbecues, crab feasts, or hang out at the beach/park with my children and grandson. I felt inadequate, isolated, and withdrawn from family, friends, and the MC/SC community. A month into my diagnosis, I took to YouTube and posted a video. Instantly, when I acknowledged my disease, and stop acting sick, people stopped treating me like I was sick! I buried my grief-stricken feelings, and haven’t looked back! Step 2: Claim Your Power! Ask yourself a question. Are YOU ready to “Fight Like A Girl”? 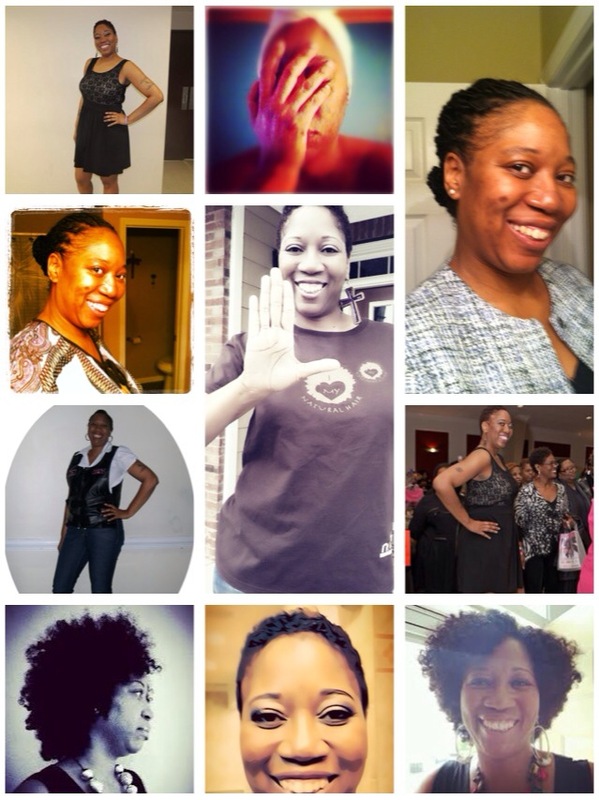 By claiming your power you pledge to stand strong and fight against Lupus. You declare that you have a power within that will help prevail against weakness and that if by chance we fall while struggling to stand we will not feel guilty but reach out to our Lupie sistas & brothers for help! I pledge to do all this and believe we can because we have claimed our power! Step 3: Find Your Social Media-Family! We are not alone! 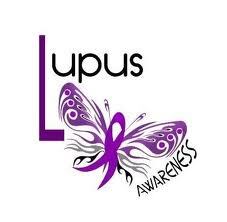 There are 1.5 million lupus survivors in the United States. 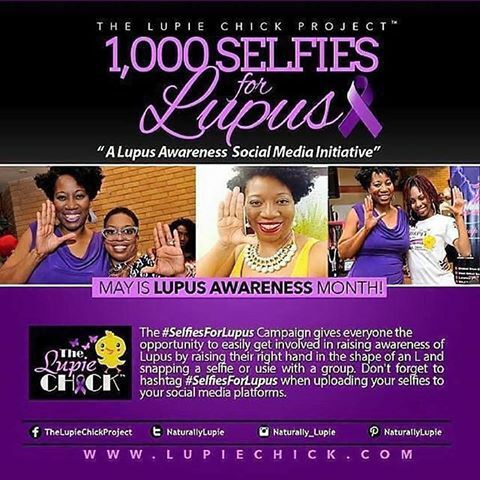 Facebook, Twitter, Instagram, and LinkedIn have hundreds of different groups and pages dedicated to raising awareness and support for Lupus. On Facebook, you can do a search (in the search box) for the keyword Lupus. 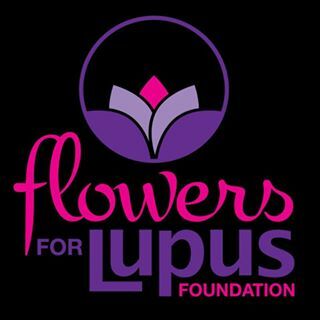 A list of Lupus support groups & pages should appear. On Twitter and Instagram the way to find someone is to search for a hashtag mentioned in a tweet/picture post. All the people who have used those hashtags will appear-you simply “follow” and most will “follow back” Some of the common hastags to search for are: #lupus, #LupusAwareness, #spoonie, #butterfly, #ChronicIllness, Together we share our pains and sorrows, our joys and pleasures. Whatever we experience we can learn to share it and fight it together! Step 4: Become an educated Patient! Whenever I get a new symptom, like a rash or chest pain, I say to myself, “Its Mister (aka “my Lupus”) begging for attention. No need to worry. No need to check it out. It’ll go away in a few days.” At times, this is probably true. But more often, a new symptom needs to be evaluated and perhaps treated so it doesn’t become a life-threatening event. I will post on one of the support groups that I belong too and/or I will turn to Google. It’s imperative to our health that we become “hands-on” patients and educate ourselves. As patients we cannot just depend on our doctor to tell us everything. We have a responsibility to our health and well-being to do our own research! Find out the current medical news, keep a food/illness diary (this helps to discover what foods trigger symptoms-check out this app), look up alternative medicines, talk to other patients and find out what works for them. Some great Websites to visit are: Lupus Foundation of America, WebMD, MayoClinic.com, John Hopkins Lupus Center, Alliance for Lupus, NIH, and Life with Lupus. Step 5: Sharing is Caring! You’ve heard it before: “It takes a village”, “Two heads are better than one”, Each one can reach one! So reach out and help someone else begin the journey to overcoming Lupus. It can be scary, but 9 out of 10 times, there is someone who can relate and/or has experienced something similar to what you are dealing with. Together we can stand strong! The informational content of this article is intended to convey general educational information and should not be relied upon as a substitute for professional healthcare advice. I am super excited to be taking part in the Health Activist Writer’s Month Challenge which is being hosted by WEGO Health! The entire month of April will be dedicated to sharing our stories as well as educating and raising awareness! 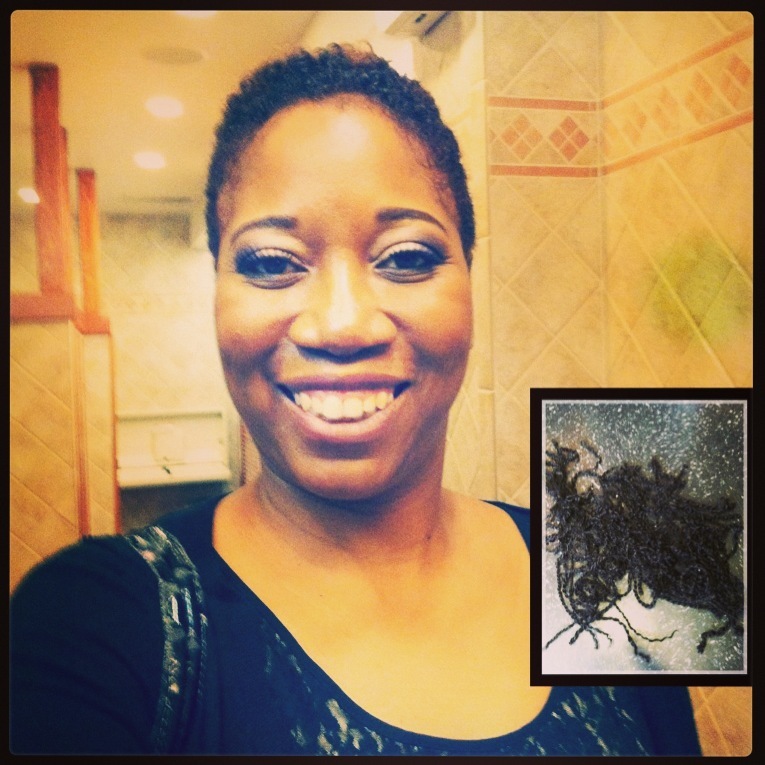 Initially, I had a blog relative to natural hair. I LOVED talking about natural hair, and offering advice & tips as to how to care for natural hair. 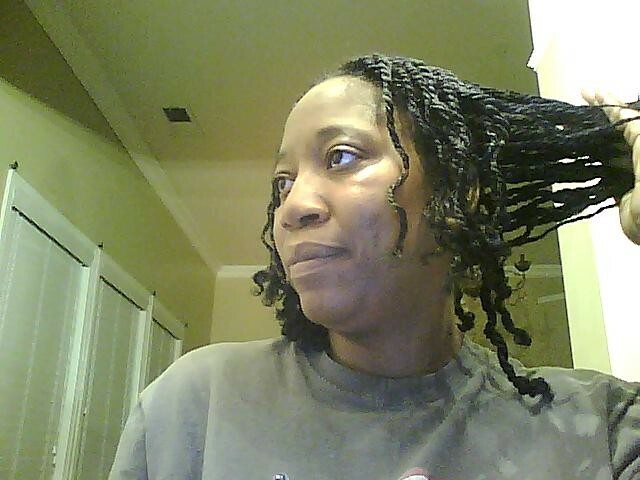 Au Naturale by Mz. Sixx was my baby. I had gained followers, was getting offers from companies to host giveaways, & meetups – I was on to something. In 2011 Lupus creped his ugly head into my life. I could no longer keep up with blogging, attending social events and was lost as to what was happening to my body. After being diagnosed, I was stumped as to how I would tell my friends and family I finally had a reason for the scarring on my face and the extreme exhaustion. I took to my blog and posted Hello-I’m A Lupie Chick. That was the first time I had actually said the words “I have Lupus”. Wow, the response was overwhelming as most of my friends and family was not educated or aware about Lupus. The inbox messages, text, emails began to be too much. 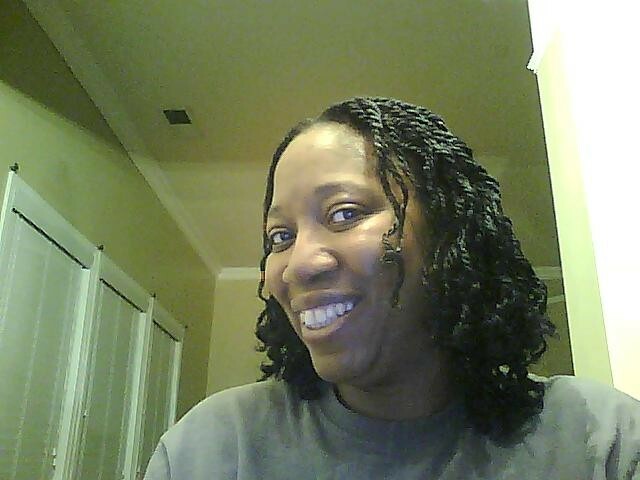 First, blogging about Lupus was a “relief” and a way that I could provide my friends and family with updates. There were moments when I felt like I was complaining or no one was reading. Months had gone by without any posts, because I didn’t want to burden my followers with my Lupie Chick issues. I started to receive tweets stating that they were about Lupus because of my blogging and interactions on social media. There were a few people in my life who suffered in silence and they were speaking through me and the blog. WHAT A BURDEN THAT WAS FOR ME TO CARRY. 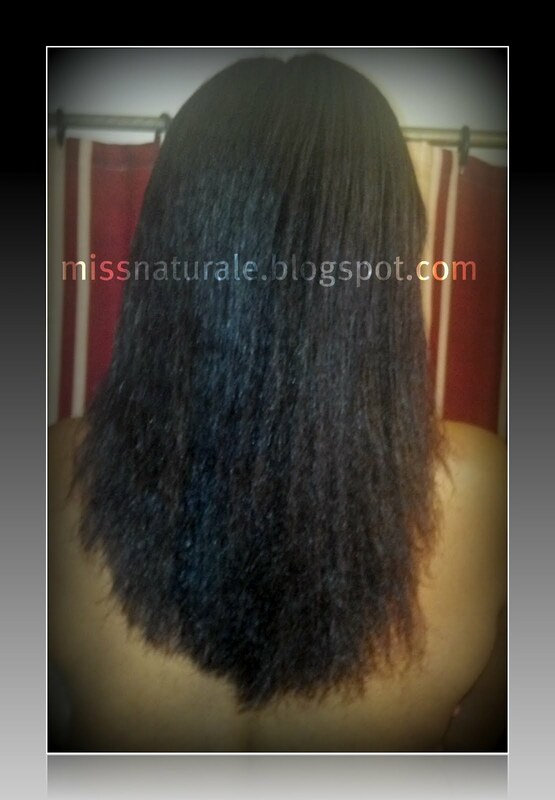 Additionally, I was still posting on the natural hair blog. It was too much, What if I said the wrong thing? What if I felt like saying F*uck it-would I offend someone? Would I receive hatful messages because someone didn’t like my post? How can I keep up the pace with informative content on two blogs? I came to realize that I’m human; I’m not a robot that you can switch off and on. I don’t have to blog daily or weekly. I have feelings, emotions and a voice that I refuse to silence to spare anyone else’s feelings. 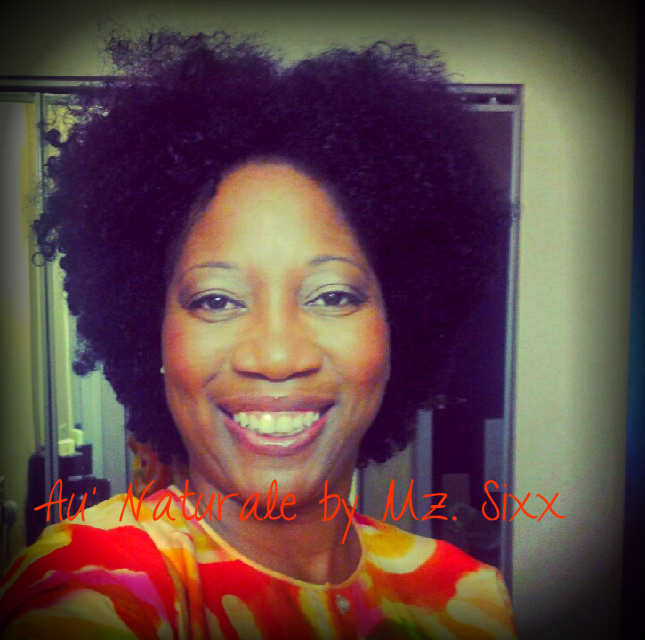 In March of 2013, I combined both blogs- Au’Naturale by Mz. Sixx and The Lupie Chick = Naturally Lupie. I write to be a voice and a face to a little known invisible disease. I write in a conversational way….my grammar isn’t always correct, I occasionally use slang and or profanity-not to get attention, but because that how I speak to my friends or that’s how I’m feeling at the time. I didn’t want my blog to be a text book encyclopedia type of blog. 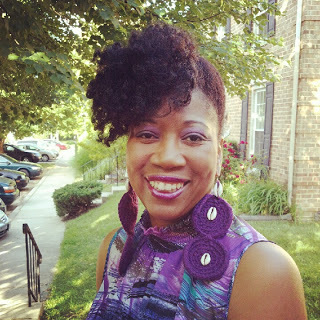 I didn’t want my blog to be a repeat of every other natural hair blog. I wanted my blog to tell the struggle and be a pillar of strength for the weak and weary. My blog is the little thing in your head saying “yes you can and YOU WILL”. I’ve always been loud and in your face type of person (some say obnoxious)-I’m not the whispering type…so why start now? Mister (my Lupus) is loud and obxinous too- when he wants attention he show up on my face and my hair. He has tried his best to take my beauty and silence me. Most recently, I’ve had to cut all my hair off aka Big Chop the day before a huge event I was hosting to celebrate women, as a result of a Lupus flare (talk about loud and obnoxious). The hair loss has left me bald around the edges and nape of my head. I posted about it on Instagram w/ pictures, and guess what- I received 36 comments where other Lupies have or had experienced the same thing. THAT’S WHY I WRITE; to speak up and not suffer in silence or alone. I have had moments where I had no idea what to write and felt like I had no meaningful content left to offer. I have had moments where I’ve felt completely inadequate to try to offer hope to readers when I felt so helpless myself. I have had moments as recently as this weekend when I’ve felt like I physically didn’t have anything left to give. But I do- I have LOTS more to give and I will continue to write- not only for you but for ME!